Diapers can cost a bundle for any family, and a lot of folks are turning to cloth diapers to try to save money. Getting started with cloth diapers can be overwhelming, so we’re getting advice from an expert. 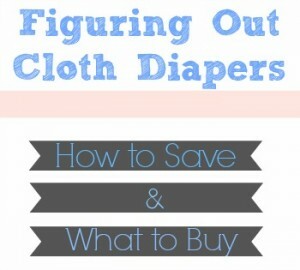 Author of Confessions of a Cloth Diaper Convert, Erin Odom, is talking about how to cheaply get started with cloth diapers. If you like what you hear in this podcast, you should purchase Confessions of a Cloth Diaper Convert. Now through September 9th you can get 20% off your e-book purchase with the code southerncloth20. Download the podcast now and listen to it when you have a chance. Subscribe to the podcast in iTunes so you’ll see every time a new one is posted.